Jackson Dean is a changed man—at least he thinks he is—but when a brush with the past leads him back into territory he’s long since left behind, he finds himself at war with his conscience. Snatching Savannah Harper from a Brooklyn street may have been okay with the wild and reckless guy he used to be, but what about now? Savannah is used to a life of brutality at the hands of her husband, but being stuffed into the trunk of a car by a brown-eyed stranger injects a fresh wave of terror into her heart. What transpires between Jackson and Savannah surprises both of them. Despite the unconventional way they’re thrown together, they form a bond that begins to challenge everything they know. His Past. Her present. Their future. Surrendering to the feelings they’ve unearthed will be a minefield, but it’s going up against the unknown that tests them to their limits. As the lines between perception and reality blur, it appears that nothing is as it seems. Perception is not reality… and reality can be soul-destroying. 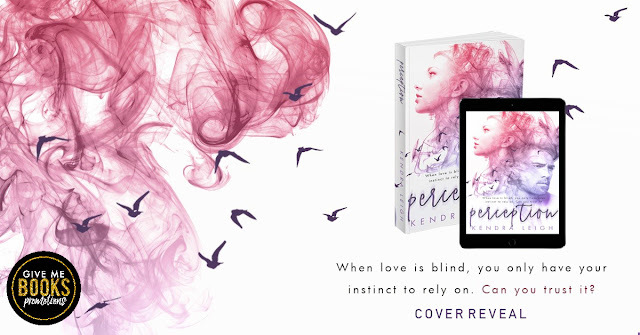 Perception is a standalone romantic suspense novel featuring a favorite character from The Bound Trilogy. If you enjoy reading stories about strong women and their journeys from victim to survivor, and the men who will go to any lengths to fight for the women they fall for, then you will love this #MeToo inspired heart-wrenching romance. Warning: Subject matter deals with domestic violence, including physical and emotional abuse, which may be triggering for some people. Kendra Leigh fell in love with words and reading as a young child. She was at her happiest when Enid Blyton whisked her away up into the magical lands at the top of the Faraway Tree with Moon-face and the rest of the gang. Now, of course, she has more of a fondness for chocolate, cheese and hot men in suits - not necessarily in that order. Kendra devotes her life to her devilishly handsome partner, scandalously beautiful daughter and cute as hell Shih-Tzu. She believes in love at first sight, and as well as writing and reading, Kendra has a passion for great movies and brilliantly written TV.